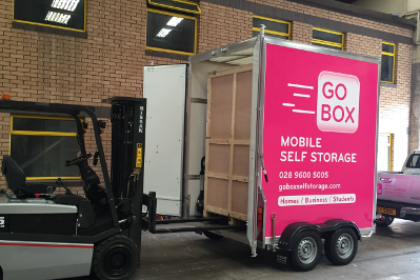 Go Box Self Storage Ltd has welcomed its first mobile self storage customer to its Belfast storage warehouse. Maria McAuley, who lives and works in North Belfast, heard about Go Box Self Storage and contacted us in March. Boxes and packing materials were ordered and delivered in advance of the move date. 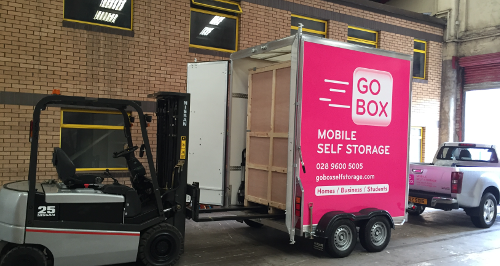 Then on the following Monday a Go Box storage unit arrived as scheduled, was loaded and returned to our secure self storage depot. Maria, who is Australia bound, was delighted with the service and has already recommended Go Box Self Storage to her cousin. Many thanks to Maria and good luck in Australia from all the team at Go Box. 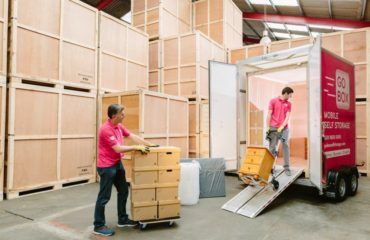 Could you live in a Self Storage Unit in Belfast for 2 months?